After years of sports, bench presses, and a meathead mindset, Kyle’s best friend finally convinced him to go to yoga in October 2010. Immediately after that first class, Kyle signed up for a monthly membership and in a mere 15 months was enrolled in a yoga teacher training. 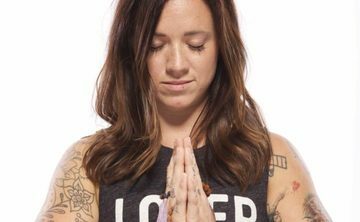 Over the years, Kyle developed a love for the practice far beyond the physical, in that he found deeper meaning in his everyday relationships through wise little lessons he learned on his yoga mat. His demeanor turned from that of “crazy-corporate-drone” into one of a more playful and happy mindset. Along the path, he figured out that your physical body is only meant to serve the purpose of teaching you about your mind, and eventually about the obstacles that lay within. Kyle has ultimately found that once you embrace the idea that anything is possible, your practice starts to open up in miraculous ways. Kyle initially received his 200-hour yoga teacher training certification from CorePower Yoga in Colorado. After teaching for a few years, Kyle decided to deepen his teaching knowledge by studying under Baron Baptiste in his 100-hour Power Yoga training in Sedona, Arizona and then an advanced 100-hour yoga training in Park City, Utah. While Kyle specializes in teaching inversion workshops throughout the world, you can find him regularly scheduled for classes at his home studio, Ra Yoga.